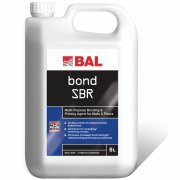 Building Adhesives Limited (BAL) was founded in 1962, during a time when tile manufacturers within the British Ceramic Tile Council became increasingly alarmed by developments within the adhesives industry. They decided to work together to produce a new range of high quality, premium “new technology” adhesives, backed by a comprehensive Technical Advisory Service. Whenever the company creates a new product, it undergoes rigorous testing to maintain stringent quality, as well as celebrating their superior technical know-how by providing excellent training and advice. Building Adhesives is based in Trentham, Stoke-on-Trent - the birthplace of the ceramic industry in the UK. The company was established as a centre for innovation and development in the British ceramic tile industry and their main activities centre around Research and Development (R&D), administration and UK manufacturing. Backed by 50 years of experience, Building Adhesives is the market-leader in tiling. They are devoted to delivering innovative products and service solutions. Trusted by industry professionals from tile fixers, to contractors, architects and specifiers. 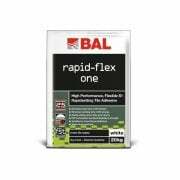 Whatever the tile material, a BAL solution can be trusted for quality and lasting performance. 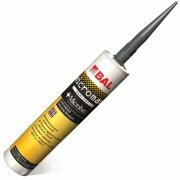 Since opening, BAL has met milestone after milestone including the first epoxy grout, first tile adhesive using rubber crumb, first variable-setting tile adhesive as well as much more. Devoted to scientific excellence, innovation and sustainability, the company are keenly aware of the environmental management. These values are maintained by ensuring that they meet industry standards through responsible raw material sourcing, through to product manufacture and consumer use. BAL are proud partners of Cool Earth - and with Building Adhesive’s help, the organisation have worked to protect over 333 acres of rainforest from illegal deforestation in Peru.